Tickets are still available for a fantastic evening of entertainment and prizes as part of the Harrogate Sir Robert Ogden Centre’s annual Charity Spring Ball. The Ball follows the success of last year’s event – and takes place on Saturday 11 May at the Old Swan Hotel, Harrogate. The Centre’s raising money on the jam-packed evening to support its Complementary Therapy Service, which is not covered by funding. Complementary therapies help to provide relief to patients from the effects of cancer treatments. The treatments also help to relieve stress and anxiety and are a vital service to patients at the Sir Robert Ogden Macmillan Centre, Harrogate District Hospital – part of Harrogate and District NHS Foundation Trust. 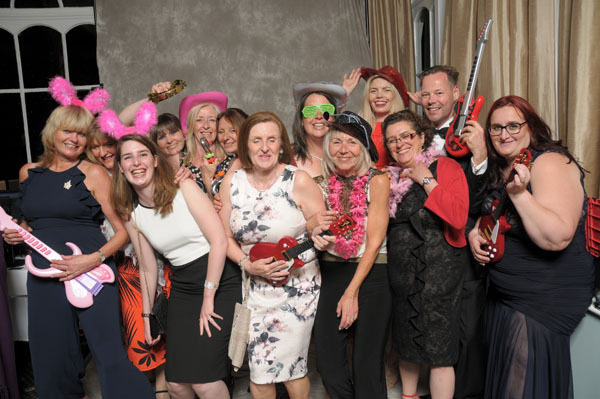 Over the past four years, the Centre has raised £85,000 through its annual Spring Ball, which is shared between supporting patient services at the Sir Robert Ogden Macmillan Centre in Harrogate and Macmillan Cancer Support. Sarah Grant, Macmillan Patient Information and Health and Wellbeing Manager in the Sir Robert Ogden Macmillan Centre, said: “Our previous Charity Spring Balls have been a great success, raising tens of thousands of pounds to help support the patients that we care for to enable services that we otherwise would not be able to provide. Tickets for the event are going fast, and cost £75 each or £750 for a table of 10. The price includes a host of food, entertainment and prizes, including a three course dinner, live band, a disco, raffle, silent auction and a charity auction. To buy tickets or support the Centre’s Charity Spring Ball by donating a prize for the auctions or raffle, call 01423 557317 or email: sarah.grant2@hdft.nhs.uk.